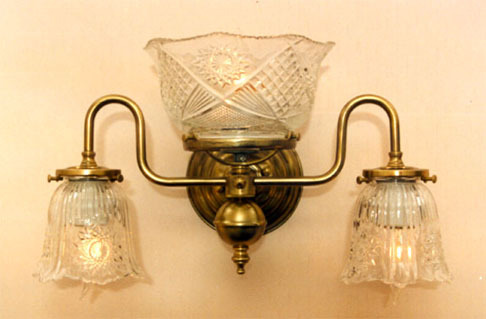 This 3 light offers plenty of light and carries the gaslight design to a new level. Mount it up or down, modify it so all the shades are the same size, place a downlight under the center body instead of the brass ball. So many design options. You have complete design control!